Finally, 5 years after reviewing Stupid Sock Creatures, there is a follow up book! That’s right it’s Return of the Stupid Sock Creatures ! Just like the original title, this book is packed with lots of information on selecting your materials, how to sew and stuff your creature, adding dimension to their features (such as stuffed lips, ping-pong eyes, and protruding teeth). However, the best part of this book is the projects… their weirder, stranger, and definitely more awesome than the original! What sets these 19 creatures apart from those that appear in the first book? Details. 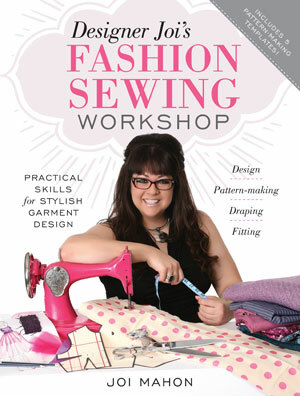 Although this book could be geared toward any level of sewist, the techniques are definitely a step above the first book – for example the addition of bubbly, painted ping pong eyes, club-like feet (as opposed to tube style legs seen in sock monkeys), and hands with chubby little fingers. If you love to make plush or just have a child who likes one-of-a-kind creatures, then this book is definitely a title you’ll want to have on your bookshelf. As for me – I’m thinking a Snarfle (a ‘dust bunny’ with ping pong style eyes) or Rainbow Dribble (a colorful ‘giant’ with lots of arms and legs) will be in order very soon! This entry was posted in Book Reviews on November 5, 2012 by stacy. Every few months I’ll spend an evening looking through Amazon’s listing of upcoming books. One that had really intrigued me was a title called Killer Slippers: And How to Make Them – I mean, just check out those awesome tugboats on the cover! Since the author doesn’t have more information about them on Amazon, I did a bit of a Google search and discovered that Killer Slippers is, in fact, a reprint….. and there were several reasonable copies on eBay! I didn’t have to wait until December’s release for my copy! Since my book has arrived and I’ve had a chance to read it, I thought I would give everyone a bit of a review! First, if you’re shying a way from getting this book because of the thought of having to make your own shoes, relax. Killer Slippers is about recovering purchased slippers not starting from scratch. The beginning section of the book discusses how to make a pattern piece for each style of slipper you may need plus information on how to recover them when the time comes. The rest of the book is devoted to making 15 unique and fun slipper designs: koi fish, circus elephants, giant flies, swans, and cute little cars are just a few of the ways you can keep your feet cozy this winter. The instructions seem pretty straight-forward and the patterns you need to complete the look are included (full size) inside the book. Now I can’t wait to get my hands on some slippers this fall and try my hand at making my own fun looks – now which one should I go for first? This entry was posted in Book Reviews on August 7, 2012 by stacy. While sewing projects are constantly on my mind, other crafty pursuits are sometimes more difficult to come up with. Even though I browse local craft stores for new products, I’m not always sure what to do with them. Consequently, when I saw that a new book was out called Mod Podge Rocks! : Decoupage Your World , I knew that I had to check it out. I was lucky enough to not just win a copy of the book from Crafty Modern, but lots of extras too – I honestly didn’t know they made so many types of Mod Podge these days! Overall, I found the book to be helpful in knowing what products to use, when. I also liked that there were numerous tips given throughout the projects that help you achieve more professional looking results. However, I think that a lot of the projects fall flat of ‘impressive’. Maybe it’s because I’ve seen similar items on Pinterest, blogs, etc. for so long that a lot of them didn’t seem novel (my only exception is the jewelry made from Dimensional Magic – a product that seems to produce a resin like finish). That’s not to say I won’t give any of them a whirl – in fact I’m definitely going to try my hand a a few of them and get my feet wet in the world of Mod Podge, but I’m more likely to try out my new found knowledge in recreating some of the inspired projects in the gallery section of the book now that I know what I’m doing! This entry was posted in Book Reviews on July 10, 2012 by stacy. It seems as if reproducing famous garments is a ‘hot topic’ this year. Not only have we see Famous Frocks, but now we have Sew Iconic . I bought this book recently and was very excited to see what was inside because let’s face it, we all want to be Audrey Hepburn or Marylin Monroe sometime in our lives! Inside are 10 “Iconic Dresses” including Marilyn’s “Seven Year Itch” dress, Audrey Hepburn’s “Breakfast at Tiffanys” feathered frock, Grace Kelly’s goddess gown, and even the famous “Titanic” dress. While the book does a better job representing the final version of the costume than what Famous Frocks did (they were more of a modern take on the dress), it still falls flat when it comes to making it look exactly like the original…. and I’m not being picky when I say that. A great example is Grace Kelly’s dress from “To Catch a Thief”, while it is a great representation of the dress, it lacks the fitting and beautiful draping or the original (the same really goes for the ‘green “Atonement” dress’ – that gaping under the arm just makes me cringe). That is not to say there aren’t some very close knock-offs – I especially liked the Marilyn, Rita Hayworth, Julia Roberts (in “Pretty Woman”), and the Titanic dress (if it was in a different fabric). As for the patterns, everything is included in the book – full-full sized, even! The only drawback is that they are laid out like a Burda magazine so it looks like a road map when you open it up to trace them. The instructions seem to be well written and laid out so that even a beginner can follow them (although I would suggest starting with some of the less complicated designs first). My favorite part? : I love that there is background information included with each dress and a ‘how to work it’ section once your dress is completed. The Bottom Line: If you are not looking for an exact replica of your favorite Iconic Dresses and you are willing to make a muslin to properly fit your look, then I highly recommend this book. It has some great looks, perfect for a costume or theme party – and everyone will definitely know who you are even if it’s not totally like the original. This entry was posted in Book Reviews on June 26, 2012 by stacy. finally arrived and I couldn’t be more excited! Once again the bags inside the cover are all fabulous – definitely something that I can’t wait to make. New to bag making and missed her first book? That’s ok too! There’s a section of a book that will help get you started (fabric prep, equipment, etc.) as well as techniques described (with lots of photos) to help you along the way. The best part, of course, are the 12 projects. All have full-sized patterns inside the spiral bound book and are so diverse there’s definitely ‘something for everyone’: iPad Cases, toddler backpacks, baby bags, school bags, laundry and bike bags, wallets and vanity cases just to name a few. Even though I haven’t made a project yet, from what I’ve read the instructions are clear and have lots of illustrations (and in come cases photos) to help you through the steps so no matter what your skill level, you should come out with a fabulous looking project in the end. The Bottom Line: Another fabulous bag making book that is a must have for your book shelf. With two successful books under her belt, I’m hoping that Lisa puts out a third – because one can never have too many purses in their possession! This entry was posted in Book Reviews on June 13, 2012 by stacy.